On the photography front of 2015, I made great strides taking more photos that the prior 2 years combined! In total, I took more than 16,600 photos, more than 2013 and 2014 combined! Last year I posted my top 10 photos of 2014 and I’m doing it again. It was extremely difficult to narrow the choices down and I ended up revising it a couple of times because I just could not decide which pictures I liked the best. They are detailed below in no particular order. 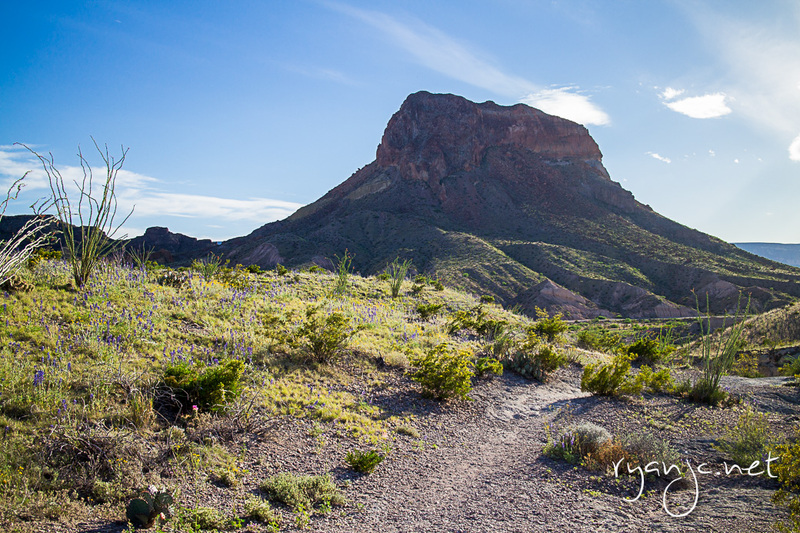 Cerro Castellan at Big Bend National Park. View from Tuff Canyon. Taken April 20, 2015. Big Bend National Park is a gorgeous and very scenic national park. Secluded from nearby towns, it’s worth the drive from Texas’s major cities. Having visited dozens of other National Parks, it’s quite like any other. The terrain, geography, and different ecosystems are very unique making it a must see. From end to end, you can traverse mountains, forests, deserts, canyons, plains, and rivers. Tsim Sha Tsui , Hong Kong on Chinese New Year. Taken February 20, 2015. Hong Kong is crowded, and it’s only been getting busier in the last 5 years in part due to China allowing more tourists and Asia’s overgrowing economy. 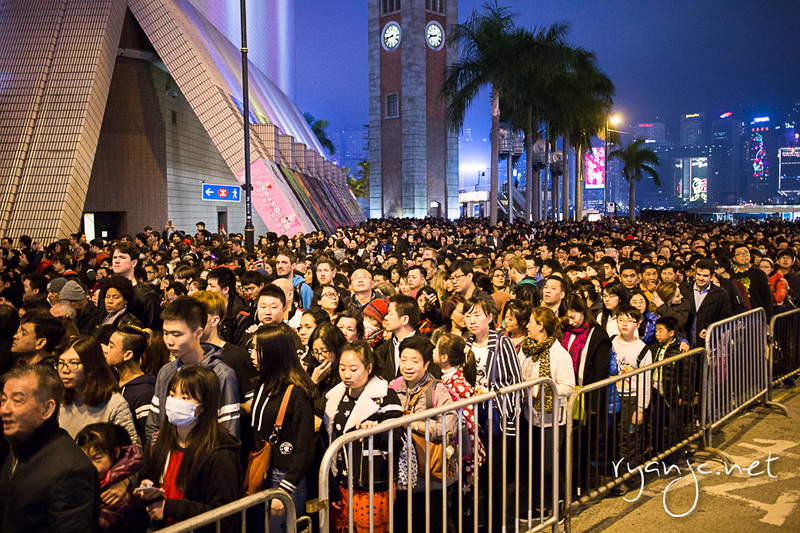 I think this photo really exemplifies just how many people are in Hong Kong. This was taken after the Chinese New Year fireworks as we were leaving. It was just a sea of people. Visiting Hong Kong over New Year’s was a real treat. It’s the biggest holiday of the year and it’s celebrated for as much as 3 weeks! Park Avenue – Arches National Park. Taken May 27, 2015. This panoramic photo does not do these structures justice. Some of these monoliths are over 600 feet tall. The scale is just staggering and most humbling. I wish we had more time in Moab to hike more of Arches and Canyonlands, but we were able to hit the high points. It was also a very hot summer day. Believe it or not, later this day, it thundered and poured. Weather in these parks is not to be taken lightly as flash floods can come out of nowhere and you don’t want to be stranded. Cimu Bridge, Taroko National Park, Taiwan. The Cimu Bridge (also known as the Motherly Devotion Bridge) is a famous landmark over the twisty Laoxi River that carves the marble below. 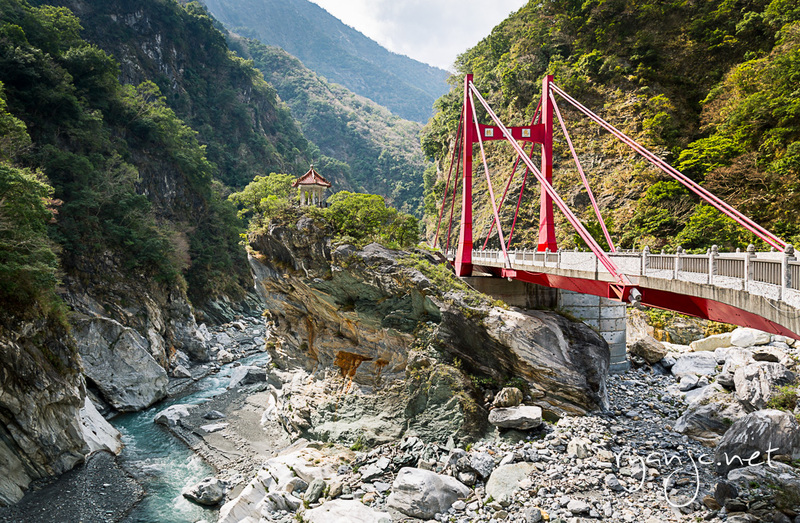 The pavilion atop the frog-shaped cliff was built by a late Taiwanese president in honor of his mother during the construction of the road through Taroko. I really love how this photo came together with the lighting on the bright red bridge on the green and rocky backdrop. 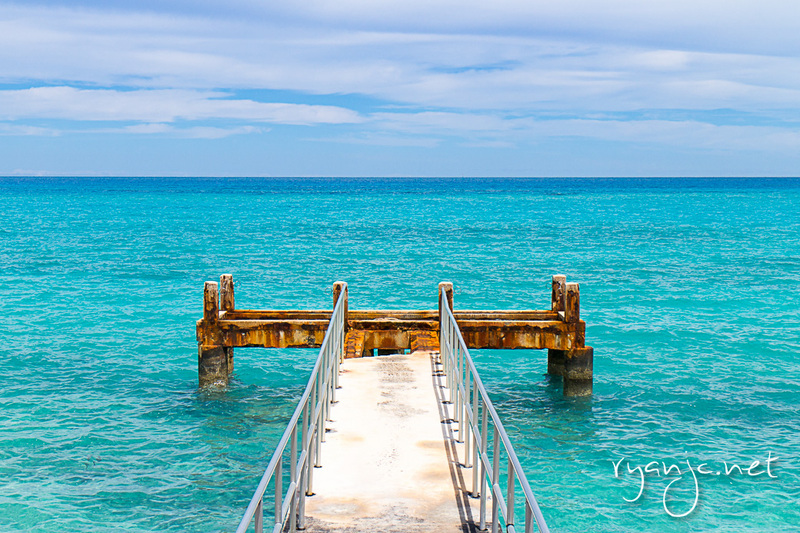 The color in the water is really what Bermuda looks like. The small island is surrounded by a treacherous and shallow inner and outer reef which give it the distinct colors as you look out to the Atlantic. Cruise ships have to be specially piloted in and out of the ports as to not end up running aground (hence the tales of the Bermuda Triangle). The entire island is filled with secluded and unreal beaches. If you think white sandy beaches are unique, Bermuda is known for its pink coral sand which give them an even more spectacular look. View from Top of the Rock, New York, NY. Taken May 4, 2015. This panorama consists of 7 photos taken by hand and stitched. It’s probably my number one favorite of the year. Ever since I put it together, it’s been my wallpaper on my desktop. At about 40 megapixels, I can’t wait to get it printed and framed. If you’re visiting New York City, you must visit the top of the rock. There’s a long line to get to the top and it’s quite pricey, but well worth it at sunset. It’s very busy and they don’t allow tripods and the glass makes it difficult to work around, but the view is breathtaking. This was shot at ISO 4000, 1/25 of a second, light was fading quickly. View from Mesa Arch in Canyonlands National Park, Utah. Taken May 28, 2015. The scale of Utah’s National Parks is incredible. During our three week road trip, we followed the path of the Colorado river as it carved its way through the west. Even just standing atop these ledges can you not even quite comprehend just how far the land stretches in front and below. It’s not something I want to find out, but wow is it breathtaking and makes the hike worthwhile. Grand Teton National Park, Jackson, Wyoming. Taken May 22, 2015. This was my second time to visit Grand Teton National Park, but this was a new view that I hadn’t seen before and I was able to stitch together a large landscape to encompass a majority of the mountain range. On the left is Teton in the Cathedral Group, the largest mountain and Mount Moran in the middle, and Bivouac Peak and Eagles Rest Peak to the right. In the foreground is Jackson Lake. Caye Caulker, Belize. Taken January 6, 2015. Taken about 1 year ago, this is still a place I want to go back. 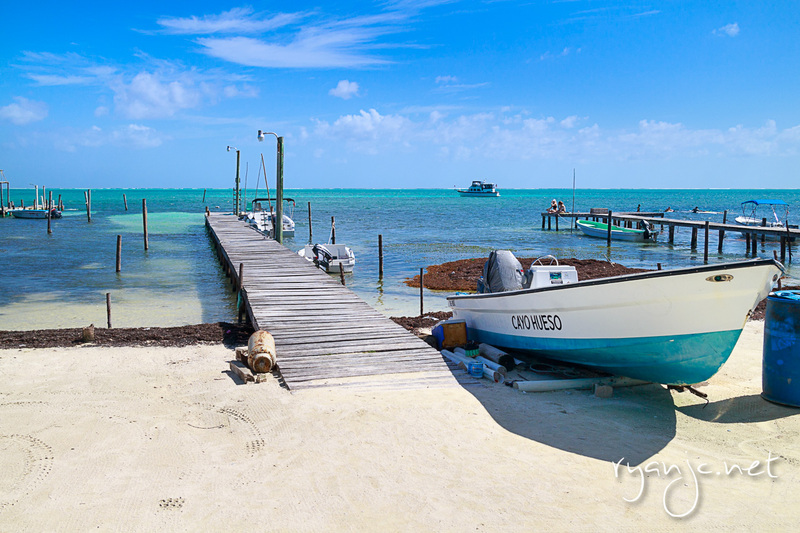 Belize in general and Caye Caulker even more so is a laid back place. Time moves slower and people enjoy life – each other and the beauty of nature. Caye Caulker has many reefs around the island to snorkel and dive. We were surprised to find so many tourists from Europe and Australia on holiday staying at the many hostels and enjoying the Belizian way of life. Wenlin Rd, Shilin, Taipei, Taiwan. Taken February 9, 2015. 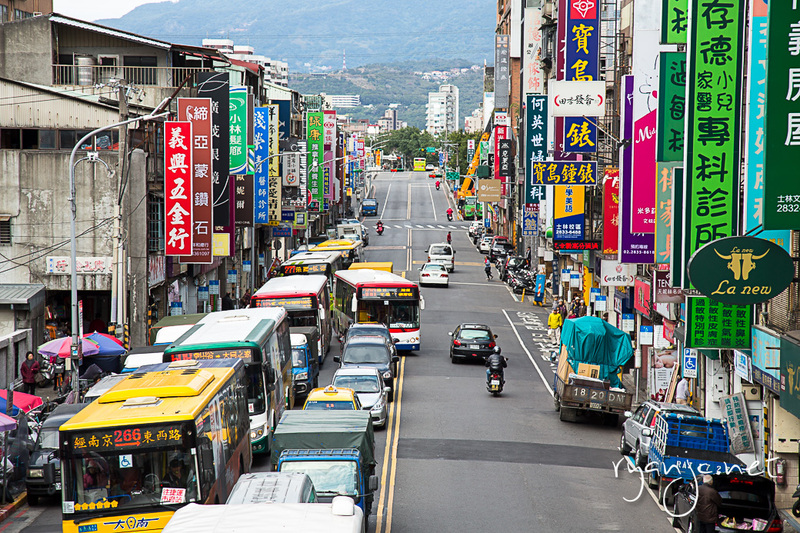 Unlike the signs in Hong Kong, Taiwan conforms more to those of Japan and Korea with vertical signage that is organized and colorful. Hong Kong’s famous signs that stretch across the street are as loud and obnoxious as the streets themselves. I really liked the color and order to the bustling city in this photo. For so long I waited for 2015 to be here. It’s now concluding and it’s once again time to look back. One year ago, I made this post on 2014 and looked forward to this year with some predictions. The biggest accomplishment of 2015 was having matched to my number one residency program and graduating from medical school. I spent a large part of this year traveling and being away from home (about 15 weeks if memory serves – 4 weeks in Austin, TX on an away rotation, staying with a best friend and about 11 weeks on vacation across the globe). Since July 1, I have worked some of the longest days and nights and have spent 80 hours a week at the hospital at a time. One of my noted goals from last year was to travel more, and travel more this year I did. Can one ever travel too much? I don’t think so. But there were times I was glad to be home, only to look forward to my next trip. Last year, I flew about 20k miles. This year, it totaled nearly 50% more in flights alone, just shy of 30,000 miles flown on American, US Airways, Southwest, Cathay Pacific, and JAL visiting about 11 different countries – USA, Canada, Mexico, , Bermuda, Japan (layover), Taiwan, Hong Kong, Macau, St. Maarten, Honduras, and Belize. On the high seas, I amassed about 6,700 miles sailed on three cruises (two in the western Caribbean and one to Bermuda). 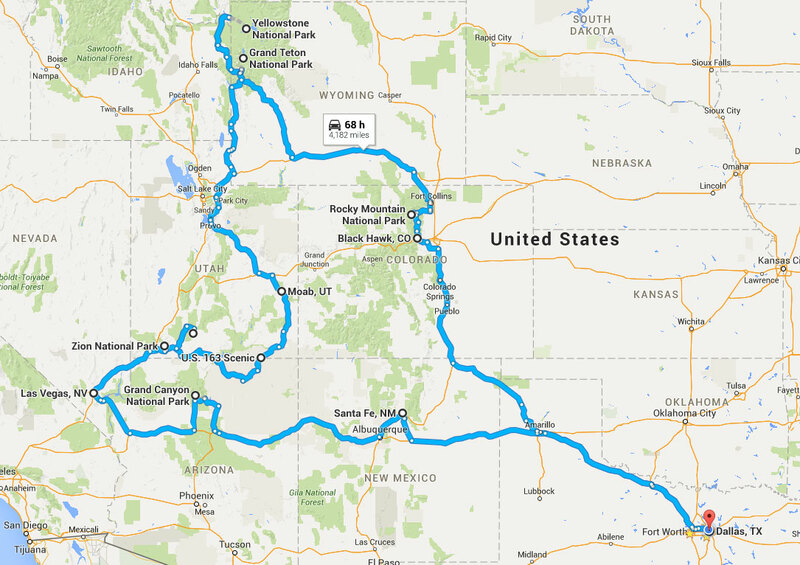 And by car, about 6,000 + miles driven on road trips. Where did I get to visit? Some amazing countries, beautiful cities, and many gorgeous national parks in the US and abroad. This is what 30,000 miles looks like. Where 3 weeks on the road can take you. A years worth of incredible journey, memories, and photos … priceless. Wrapping it up, 2015 was an amazing year with travel, new opportunities, a new job (career really), and countless memories. Last year I wanted to go on more cruises (check), visit more continents (check), and more road trips (check!). I hope everyone has had a great 2015 as well and hope 2016 is even better. I don’t know that I will ever have quite the time to travel as much as I have this year (at least not anytime soon), but In 2016, I hope to visit even more places and spend even more time with family and friends, all the while, learning and experiencing new things! 2014 is now over and it’s flown by, but it wasn’t without it’s moments. This year was a very productive year in getting things in order – namely being able to find a residency after graduation. There were many long days no doubt. Looking back, I really have to think back to where it all went. In the first half of the year, I finished my third year rotations in medicine, surgery, and family medicine. Before I could catch my breath, it was time for round two of board exams and then summer was gone and I hit the ground running fourth year with neurology rotations and shortly after, interviews for residency. In the last week of December before Christmas, I had four interviews in different cities within the span of a week. It was pretty nuts. Travel wise, I have flown just shy of 20K miles – primarily for school and only about a quarter for vacation and visiting family over Christmas. I realize that I haven’t taken many vacations this year and that they were all less than a week, mostly just a long weekend here and there. I didn’t get to go to any beaches or swimming, but did manage some hiking and mountain scenery in Salt Lake City, Tucson, and Albuquerque. I spent about 30 days of the year in a hotel which is strange to think about, but neat at the same time. Happy new year!! I can’t believe it, it’s finally here, two zero one five. For me, I’m hoping for more time to spend with family and friends as fourth year finishes and I have the opportunity to travel and get out and see some cool places. Looking forward on the bucket list are more cruise destinations, visiting more continents, road trips to new places. I get giddy thinking of all the possibilities and places to visit. In the second half of the year, I start on the job training as an intern in someplace wonderful. Where I will be for at least the next four years, I do not know. But I know that wherever I match, it will be an excellent learning opportunity to lay the foundation for wherever life leads. As January starts, things are starting to become more real as 2015 approaches and I realize it’s my last year of medical school and that this is the year I’ve been looking forward to the last four years.